I was once helping one of my classmates with a video presentation clip for a university project when I was asked if I can make an animation for her. Questions like these are often posed by novice computer users as they seem to lack the understanding about the complexities of creating animated content. Moreover, some people fail to understand that an IT professional does not simply imply that you can make animations out of the blue; especially if you are a systems engineer who has nothing to do with making animated content. Luckily, there are various easy to use web services which provide a simple mechanism for making animated presentations, even if you are a novice computer user. 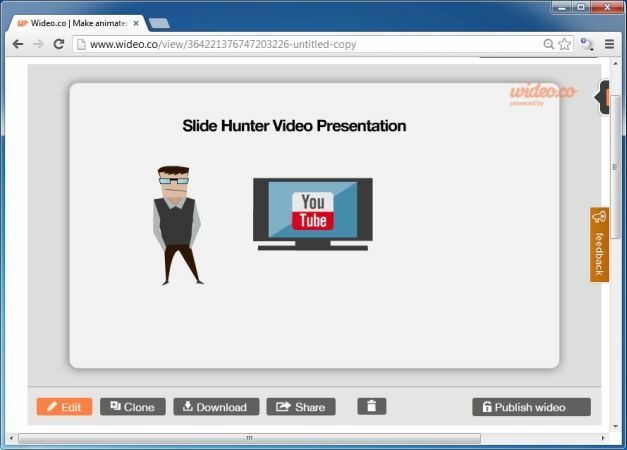 A few years ago it would have been impossible to imagine using readymade templates for making animations just like PowerPoint slides, however, this is now one of the easiest and most cost-effective methods of making video presentations, demos, sales and marketing videos, etc. 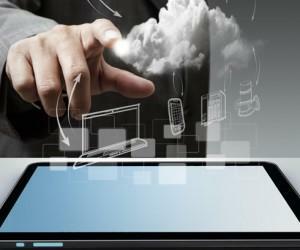 Here is our recommendation of the best web services for making animated presentations. The service is as easy to use as its name. All you have to do is to sign up for an account and go animate some stuff. You can make animations scene by scene using characters and backgrounds. 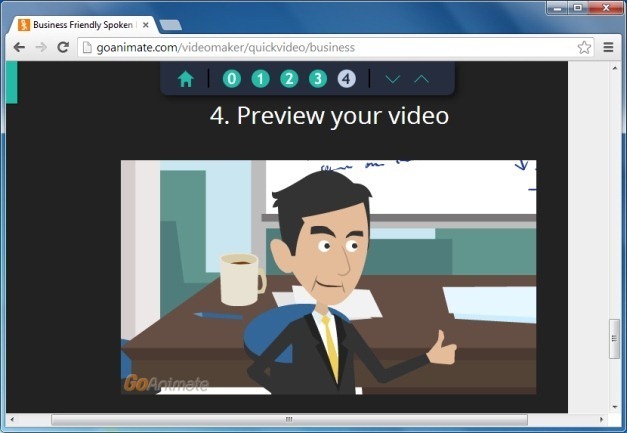 With ‘Go Animate’ you can create an animated video in just a few minutes and export it to YouTube or save it offline. 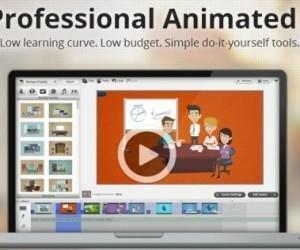 GoAnimate is a paid service with a functional trial version to help you test the features of the service for 14 days. You can find out more about this web service from our review of GoAnimate. A long time back we covered Wideo. Unlike many ambitious projects that died with the passage of time, this web app is still alive and kicking. Wideo provides a simple mechanism for making online videos for free. You can follow a simple wizard for making your animated videos and include images, audio and backgrounds to create animations. What’s great about Wideo is that it has a functional free plan. Although the free plan is limited to 45 seconds, it can still be useful for making short clips. And if you really begin to get the hang of the service, you can always upgrade to a paid package. 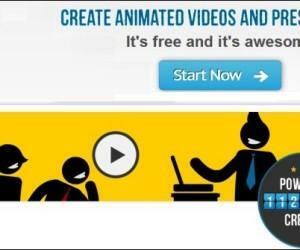 When it comes to making animations online, it will be simply wrong not to mention PowToon. This was one of the first animation based presentation services I tested and it still holds strong among competitors in terms of the rich features it offers. 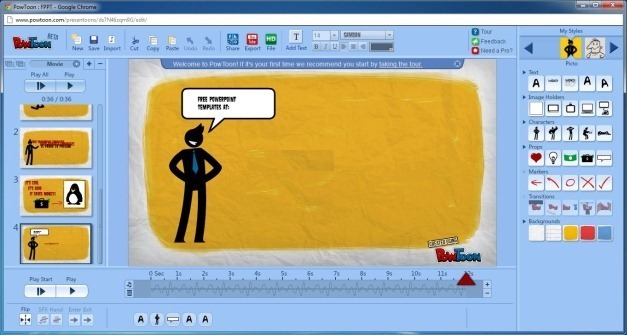 PowToon provides readymade templates and character libraries to help you build your animations. Making an animation with PowToon is as simple as following a simple online wizard. You can choose between the ‘Presentation Mode’ or ‘Movie Mode’ to either create animated presentations or movie clips. 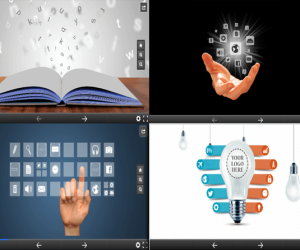 The free version of PowToon is limited to five minute videos and basic slides. 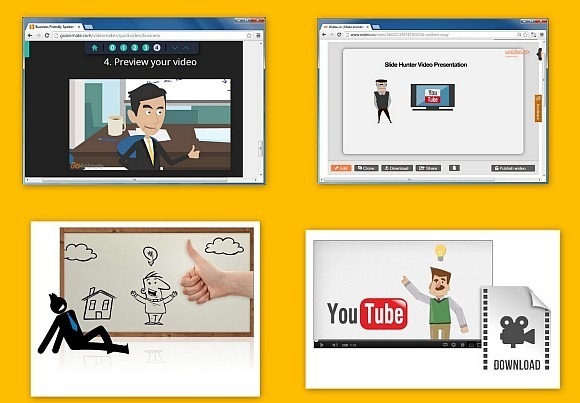 You can learn more about this awesome service from our review of PowToon.